Disney's Animal Kingdom Lodge, Buena Vista | UNIGLOBE Direct Travel Ltd. The Disney's Animal Kingdom Lodge in Buena Vista has been themed around the African jungle. About 200 hoofed animals that are found scattered in the African savannah are to be found within this awe inspiring complex. The lodge also offers exciting animal programs, boasts the largest African Art collection in the US and takes you to the heart of African hinterland jungles on a magic safari. Among the features that make this lodge great is the 11,000 square foot pool that contains exciting water slides, and is surrounded by tropical trees, Floridian palms and Uzima pools. It is the kind of place a parent feels guilty for not having taken his/her kids there. To further enhance its credentials as an African theme park, all the dining options points to the traditional African dining practices. For example you can enjoy the Boma flavors of Africa that grace African dining tables every evening or enjoy the mara (sour milk) as it is taken in Africa. For those that are not interested in going out for dinner, there is an in-room service that starts from 6PM to midnight. Accommodation at this lodge is divided into 2 broad categories namely the standard rooms and; rooms and suites with club services. The standard rooms include; Standard View, Pool View, Savannah View, Arusha View, Savannah View Bunk Bed and Arusha View Bunk Bed. As their names suggest, they offer different views of the African Jungle. The rooms and suites with club access include; Standard Room-Club Level, Standard View One-bedroom Club Level, One-Bedroom Suite Club Level and 2-bedroom Suite Club Level. During your stay at the Disney’s Animal Kingdom Lodge, you can expect the use of amenities such as Disney Bus Transportation, Wi-Fi, parking valet parking, online checking, airline online checking, ATMs, designated smoking areas, dry cleaning services, locker services, resort concierge, sap and fitness and many more. The recreation activities available at this hotel are peerless. Actually, they have propelled the Disney brand name to the top of the American hospitality industry. 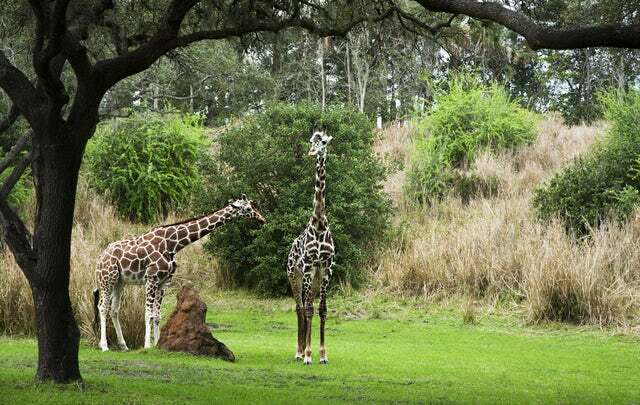 From Swimming to Simba Clubhouse to Jambo House Campfire to Hakuna Matata Playground and many more African themed recreational activities, Disney's Animal Kingdom Lodge in Buena Vista has carved a name for itself in the kids' entertainment business. Do you want your kids to have an African jungle experience without having to travel there? Contact us today and we will get you packing.